Why Does the United States Have 17 Different Intelligence Agencies? We have built over thirty building complexes for top-secret intelligence work since 2001—and our security state just keeps growing. As every schoolchild knows, there are three check-and-balance branches of the US government: the executive, Congress and the judiciary. That’s bedrock Americanism and the most basic high school civics material. Only one problem: it’s just not so. In this century, a full-scale second “Defense Department,” the Department of Homeland Security, was created. Around it has grown up a mini-version of the military-industrial complex, with the usual set of consultants, K Street lobbyists, political contributions and power relations: just the sort of edifice that President Eisenhower warned Americans about in his famed farewell address in 1961. In the meantime, the original military-industrial complex has only gained strength and influence. Meanwhile, the seventeen members of the US Intelligence Community—yes, there are seventeen major intelligence outfits in the national security state—have been growing, some at prodigious rates. A number of them have undergone their own versions of corporatization, outsourcing many of their operations to private contractors in staggering numbers, so that we now have “capitalist intelligence” as well. With the fears from 9/11 injected into society and the wind of terrorism at their backs, the Intelligence Community has had a remarkably free hand to develop surveillance systems that are now essentially “watching” everyone—including, it seems, other branches of the government. In that light, let’s turn to a set of intertwined events in Washington that have largely been dealt with in the media as your typical tempest in a teapot, a catfight among the vested and powerful. I’m talking about the various charges and countercharges, anger, outrage and irritation, as well as news of acts of seeming illegality now swirling around a 6,300-page CIA “torture report” produced but not yet made public by the Senate Intelligence Committee. This ongoing controversy reveals a great deal about the nature of the checks and balances on the Fourth Branch of government in 2014. One of the duties of Congress is to keep an eye on the functioning of the government using its powers of investigation and oversight. In the case of the CIA’s program of Bush-era rendition, black sites (offshore prisons) and “enhanced interrogation techniques” (a k a torture), the Senate Intelligence Committee launched an investigation in March 2009 into what exactly occurred when suspects in the war on terror were taken to those offshore prisons and brutally interrogated. “Millions” of CIA documents, handed over by the Agency, were analyzed by Intelligence Committee staffers at a “secure” CIA location in Northern Virginia. In addition, according to Feinstein, CIA Director John Brennan met with her, lied to her and essentially tried to intimidate her by telling her “that the CIA had searched a ‘walled-off committee network drive containing the committee’s own internal work product and communications’ and that he was going to ‘order further forensic evidence of the committee network to learn more about activities of the committee’s oversight staff.’” In other words, the overseen were spying upon and now out to get the overseers. And more than that, based on a single incident in which one of its greatest supporters in Congress stepped over the line, the Agency was specifically out to get the senator from the national security state. In December 2012, the report began to wend its way through a “review and declassification” process, which has yet to end. Once again, the CIA stepped in. The Senate was eager to declassify the report’s findings, conclusions and its 600-page executive summary. The CIA, which had already done its damnedest to block the Senate investigation process, now ensured that the vetting would be interminable. As a start, the White House vested the CIA as the lead agency in the review and vetting process, which meant that it was to be allowed to slow things to a crawl, stop them entirely or alternatively remove crucial and damning material from the report via redaction. If you want a gauge of just how powerful the various outfits that make up the Fourth Branch have become in Washington (and what limits on them still remain), look no further. Fourteen years into the twenty-first century, we’re so used to this sort of thing that we seldom think about what it means to let the CIA—accused of a variety of crimes—be the agency to decide what exactly can be known by the public, in conjunction with a deferential White House. The Agency’s present director, it should be noted, has been a close confidant and friend of the president and was for years his key counterterrorism adviser. To get a sense of what all this really means, you need perhaps to imagine that, in 2004, the 9/11 Commission was forced to turn its report over to Osama bin Laden for vetting and redaction before releasing it to the public. 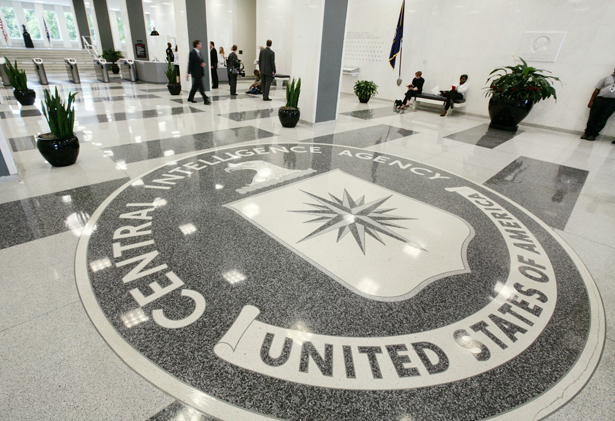 Extreme as that may sound, the CIA is no less a self-interested party. And this interminable process has yet to end, although the White House is supposed to release something, possibly heavily redacted, as early as this coming week or perhaps in the dog days of August.